University Printing House, Cambridge cb2 8bs, United Kingdom Cambridge University Press is part of the University of Cambridge. It furthers the Universityâ&#x20AC;&#x2122;s mission by disseminating knowledge in the pursuit of education, learning and research at the highest international levels of excellence. www.cambridge.org Information on this title: www.cambridge.org/9781107632981 ÂŠ Cambridge University Press 2015 This publication is in copyright. 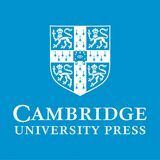 Subject to statutory exception and to the provisions of relevant collective licensing agreements, no reproduction of any part may take place without the written permission of Cambridge University Press. First published 2015 Printed in India by Replika Press Pvt. Ltd A catalogue record for this publication is available from the British Library isbn 978-1-107-63298-1 Paperback Cambridge University Press has no responsibility for the persistence or accuracy of URLs for external or third-party internet websites referred to in this publication, and does not guarantee that any content on such websites is, or will remain, accurate or appropriate. Information regarding prices, travel timetables, and other factual information given in this work is correct at the time of first printing but the publishers do not guarantee the accuracy of such information thereafter. notice to teachers It is illegal to reproduce any part of this work in material form (including photocopying and electronic storage) except under the following circumstances: (i) where you are abiding by a licence granted to your school or institution by the Copyright Licensing Agency; (ii) where no such licence exists, or where you wish to exceed the terms of a licence, and you have gained the written permission of Cambridge University Press; (iii) where you are allowed to reproduce without permission under the provisions of Chapter 3 of the Copyright, Designs and Patents Act 1988, which covers, for example, the reproduction of short passages within certain types of educational anthology and reproduction for the purposes of setting examination questions. In most units you will: • Talk about new ideas • Learn new words • Talk with your teacher and friends in your class about the topics • Act, sing, make things and play games • Read. • Write (in your notebook or on paper, not in this book). You will work in different ways: • With your teacher and the whole class • With your teacher in a group • With a talk partner or in a group of friends • On your own (when you are ready). This friendly duck gives you tips and tells you what to do. The duck may ask you questions. That’s me! I’m here to help! The Tip box can give you quick easy tips on various skills. On pages 152–158 you will find extra fun things to do. Look at these pictures of children racing. We are in a swimming race. We are in a bike race. We are in a running race. Do you like to race? What do you get if you win a race? Read this story. It is about three friends. They have a race. “Let’s ride to the big tree,” says Hedgehog. “Yes. Let’s have a race!” say Dragon and Bear. â&#x20AC;&#x153;Wait for me!â&#x20AC;? says Hedgehog. Dragon and Bear go very fast down a hill. Hedgehog rolls into a ball. He rolls down the hill. â&#x20AC;&#x153;I am the winner!â&#x20AC;? cheers Hedgehog. Read each question. Look at each picture. Say each answer then write it in your notebook. 2 Do Bear and Dragon go very fast? 3 Where are they racing to? Say what they are doing. Dragon is riding his bike. Choose an action word. Act it out. Can the class guess what you are doing? Look at the pictures of The Bike Race. Use the pictures to retell the story to a friend. Letâ&#x20AC;&#x2122;s ride to the big tree. Letâ&#x20AC;&#x2122;s have a race. Act out the story. Who will be Bear? Who will be Dragon? Who will be Hedgehog? Look at the pictures. Do you play these games? I can go faster than you. Draw or write about your favourite game. Read the story Hide and Seek It is a story about two friends. They play a game. “Let’s play hide and seek,” says Hedgehog. Dragon looks in the boxes. Read each question. Look at each picture. Say each answer then write it. Where are they? Say each answer. Look at the pictures of Hide and Seek. Use the pictures to retell the story to a friend. 5 Act out the story. Who will be Hedgehog? Who will be Dragon? Who will read the story? Where in your classroom will Hedgehog hide? Will you need any props? I can make a game. What can you make? Look at the pictures. I can make a hat. We can make a den. I can make a model. Tip This is a sentence. Look at this book cover. Who is in this story? What do you think they make? “What can we make?” says Bear. “Let’s make a robot,” says Hedgehog. Hedgehog makes the robot’s body. Bear makes the robot’s head. Hedgehog makes the robot’s arms. Session 8 What Can We Make? Bear gets some paint. He paints the robot’s mouth. Can you think of a question about the story? See if a friend can answer your question. 2 What is Bear doing? in the beginning in the middle at the end. Look at the parts of the robot. Point to and say each word. With your finger join each label to the right part of the robot. Now you draw a robot in your notebook. Label the parts. I need boxes and ... What do you need? Say and write what you need. What do you do? Say what you do to make a dragon. Make a body. Make a head. Make some legs. Stick the bits on. Paint a face. Where do Bear, Hedgehog and Dragon like to play? Where do you like to play? Say where you like to play. Write where you like to play. I like to play in the garden. Where do you like to play? I like Hedgehog best because he tricks Bear and Dragon. Talk about Bear, Hedgehog and Dragon. Who do you like best? Why? Which story about Bear, Hedgehog and Dragon do you like best? Why? I like Hide and Seek best because it is funny. Look at these things. They have labels. Do your clothes have labels? Why? Labels tell us what something is, or who it belongs to. The names on these labels all have a capital letter. A name begins with a capital letter, like Petros, Malak, Chan and Ali. Look at the picture at the top of the next page. It has labels. It tells us about the things in this classroom. Find two things in this picture that need a label. Draw them in your notebook and write labels. Read each question about labels. Look at each picture. Say each answer and then write it. Can you label things in your classroom? Draw and write labels for three things. Look at this classroom display. Talk with a friend about this picture. What else could you label? What words would you write? Draw two things from the picture in your notebook and label them. Look at these pictures. They are signs. Signs can tell us where to go. Signs can tell us what to do. Signs can tell us how someone is feeling. Look again at the signs. Talk about what each one means. Can you think of more signs like the ones above? Make a list or draw your signs in your notebook. Choose one of your signs to act out. Can the class guess your sign? Is this a sign to a zoo? Is this telling you to wait? This way to the zoo. Does this sign mean goodbye? Say each answer and then write it. 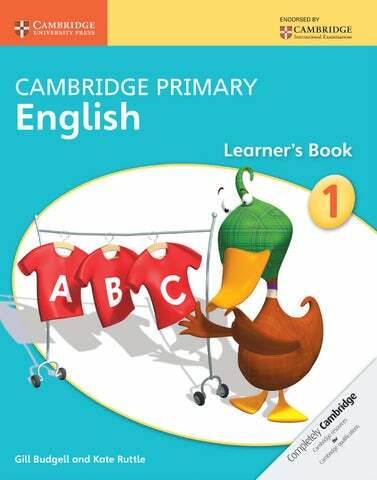 Preview Cambridge Primary English Learner's Book 1. Kate Ruttle, Gill Budgell, Cambridge University Press. Available November 2014.